Families planning March holiday trips to Hong Kong may not need to worry about waiting in the painstakingly long queues at Disneyland for a quick rollercoaster ride, or haggling with stall owners at a night market for the cheapest souvenirs. Three-quarters of Hong Kong’s 1,108 square kilometres of land are rural and nearly pristine, just waiting to be explored. Families can gain a new perspective of the country via nature trails, wetland reserve visits and camping trips. Here are five places in Hong Kong to check out in March. The cooler weather makes it perfect for an outdoor adventure with the family. Find special fares to Hong Kong with Singapore Airlines from S$268 all-in and other sweet promotions here. Nestled in Cheung Chau Island, a one-hour boat ride from mainland Hong Kong, Sai Yuen Farm offers unique camping and adventure activities for everyone. The farm brings glamping to a whole new level by allowing you to stay in a variety of tents, ranging from Native American teepees and Mongolian gers to stargazing domes and African safari tents. Families can compete against each other in outdoor activities like bubble soccer and jungle archery combat. When the kids get tired, they can relax by watching the goats that roam freely around the camp. 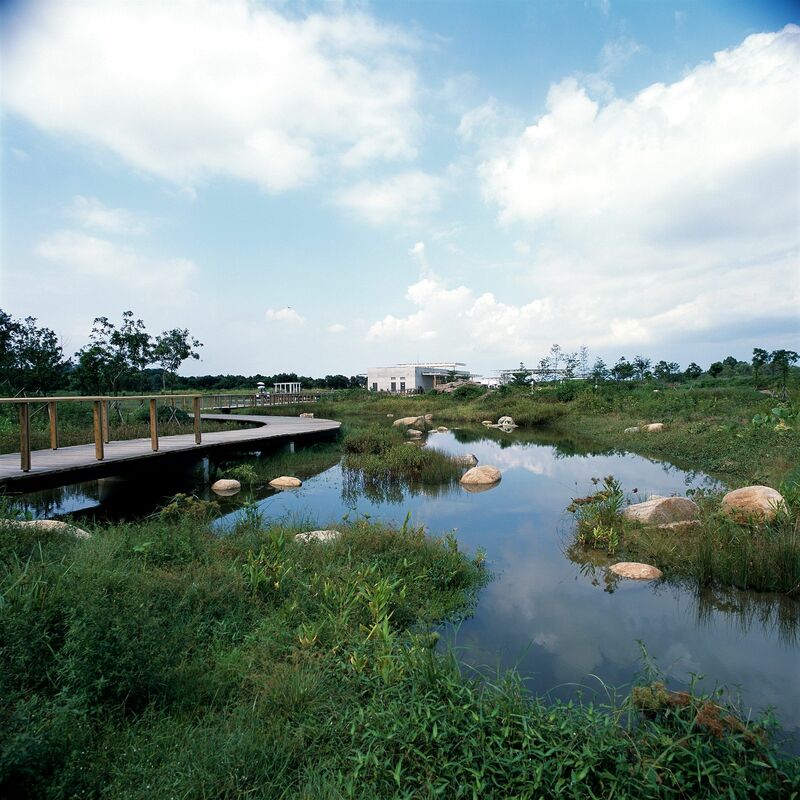 The Hong Kong Wetland Park combines outdoor habitats with interactive exhibits. The eco-tourism park is split into two sectors, the Wetland Interactive World and Wetland Reserves. At the Wetland Interactive World, young ones can learn about the importance of wetland conservation through fun activities. There are 3D cinemas, themed exhibition galleries and even a Swamp Adventure indoor play area. The wetland reserve stretches across 60 hectares, carefully designed to showcase diverse habitats like mangroves and mudflats. Lucky ones might be able to spot PuiPui, the celebrity crocodile that has called Hong Kong Wetland Park its home since 2006. What better way to show your kids the breathtaking natural sights of what Hong Kong has to offer than going on a family hike together? Most hikes end with a perfect view of vast lands, but the Dragon’s Back urban nature trail offers that and more. Dragon's Back trail is relatively easy to hike for people of all ages. Make it a family affair and bring your kids and best track shoes for this final leg of the Hong Kong Trail, which spans five different country parks. It will take you approximately two hours to cover the whole trail, and you will be able to savour views of southern Hong Kong Island and the shoreline from the peak of Dragon’s Back. At the end, make your way down to Big Wave Bay, where you can stick an umbrella into the sand and rest or take a dip in the ocean. Big Wave Bay also offers food, like coffee shops and Western fare, as well as windsurfing opportunities. Ready to take a walk on the wild side? Check out more hiking trails in Hong Kong at discoverhongkong.com. 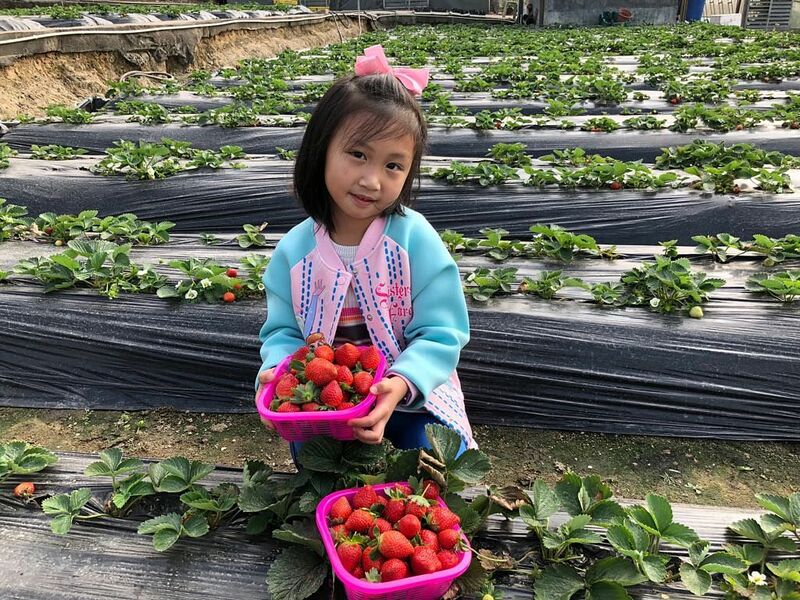 Tai Tong Organic Ecopark is a treat for the young ones. Approximately 40 minutes by car from Hong Kong’s tourist region, the park occupies over a million square feet of land, and has countless activities for its visitors. Seize the opportunity to pick a variety of fruits, from lychees to strawberries. In addition, you can learn about the benefits of organic farming and attend agricultural workshops. The farm is also home to several animals, and visitors can feed them as well as go horse-riding at the Tai Tong Riding Club. 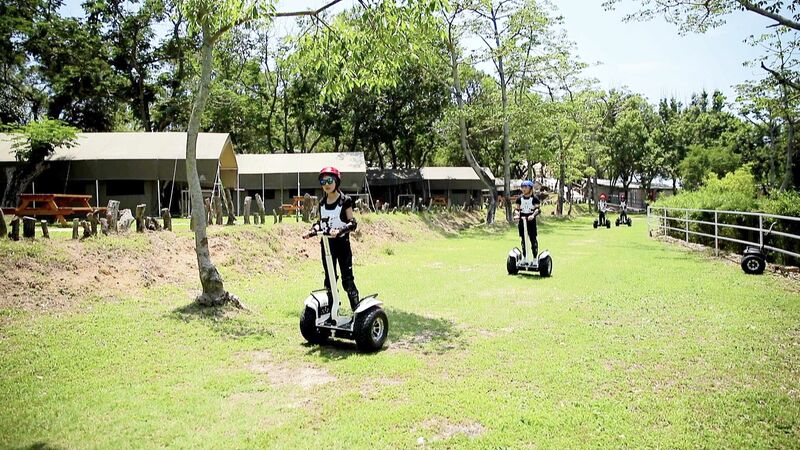 For a different kind of ride, try the go-karts at the activity area, which are bound to be fun for the kids. All members of the family are sure to be pleased at the animal village, where rabbits, goats and peacocks roam around and wait to be fed. Visit http://ttlv.hk/ to find out what else you can do. Stanley, at the south of Hong Kong Island, can be considered Asia’s answer to Mykonos. The coastal town is an idyllic seaside village and offers an intriguing mix of touristy getaways and insights into Hong Kong’s history. Try not to be overwhelmed by the plethora of offerings at the open-air market. Make your way through the snaking alleyways to discover some unique trinkets for loved ones back home, or something for your wardrobe. Then, feel the warm silky white sand between your toes as you unwind at Stanley Main Beach. Let your kids' imagination take over and build a fantastical sandcastle as you enjoy the balmy breeze. For more a light-hearted option, take a stroll to Stanley Plaza, Hong Kong’s very first dog-friendly mall. Not packed like malls in the city, the spacious plaza is built to make the most of its location at the waterfront. 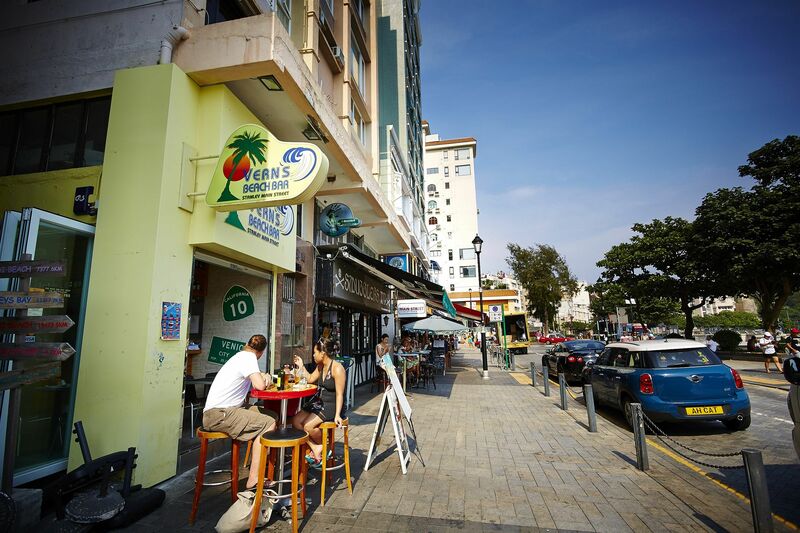 Relax with semi-alfresco dining and views of Stanley Bay.